Every year 4 organisations that focus on Higher Education across the World, the Times Higher Education Supplement (THES), the Shanghai Ranking Consultancy (ARWU), Quacquarelli Symonds (QS) and the Centre for World University Rankings (CWUR) publish their own list of the World’s Top Universities. There are a few differences across the Rankings as each organisation use different factors to evaluate the HE Institutions across the World. 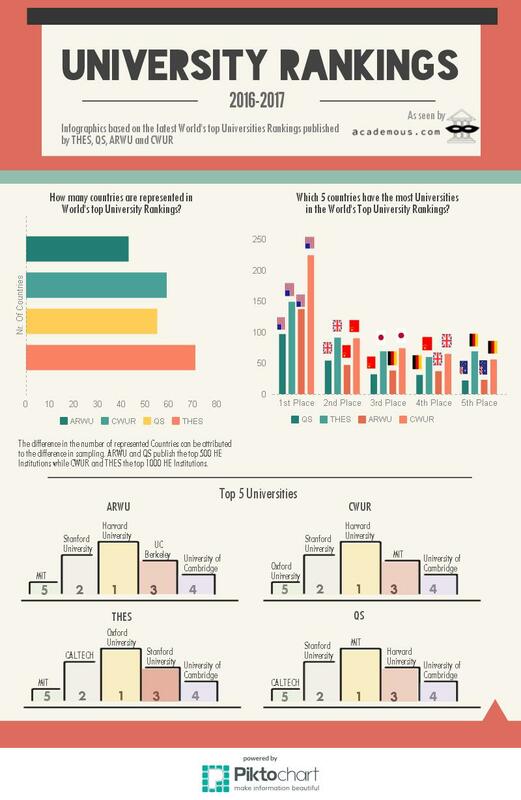 Based on the World’s University Rankings that are available online, we created this Infographic, which is the first of a series of Infographics to follow.